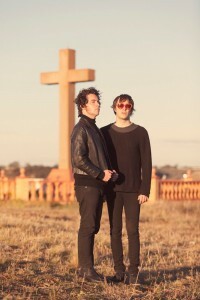 The boys from Melbourne based outfit Children Collide last month announced that their lead singer Johnny Mackay would be relocating to New York to write new material for the band. Beyond that, however, they announced a swag of live dates that would see them shuffling their way across the country from early August through to the middle of September. Great news today for the band and their fans, however, is that there are now second dates added in most of the major centres. Second shows have been announced in Sydney, Melbourne, Brisbane, Perth, Adelaide and Hobart, with tickets for all on sale now.